Tavistock ClinicBlogSportsWhat is the Best Sports Shop in Crawley? What are the primary sports shops we have in Crawley? In Crawley town centre there are three mainstream sports shops and a one-branch sports shop. The mainstream sports shops are JD sports, Decathlon and Sports Direct. These three brands are worldwide multinational companies with a hundreds of stores across the globe. The one-branch shop (at the time of this writing) is Quality Sports Supplements. They have a specific niche (more on this later) to add to the availability of certain products in Crawley. Where are the sports shops in Crawley located? What are the Crawley sports shops pros and cons? JD Sports Pros: JD is one of my all time favourite sports shops, usually because they have my favourite brands. If you are a Nike fan, you’ll like JD – the one in crawly especially has a substantial section dedicated to Nike, as well as Adidas and others. JD focuses primarily on sports clothing and sports shoes, at the higher end price range. I find they do often sell products that may not be as easily available to find online, and often have a ‘clearance’ section which still has good products but at a reduced price. 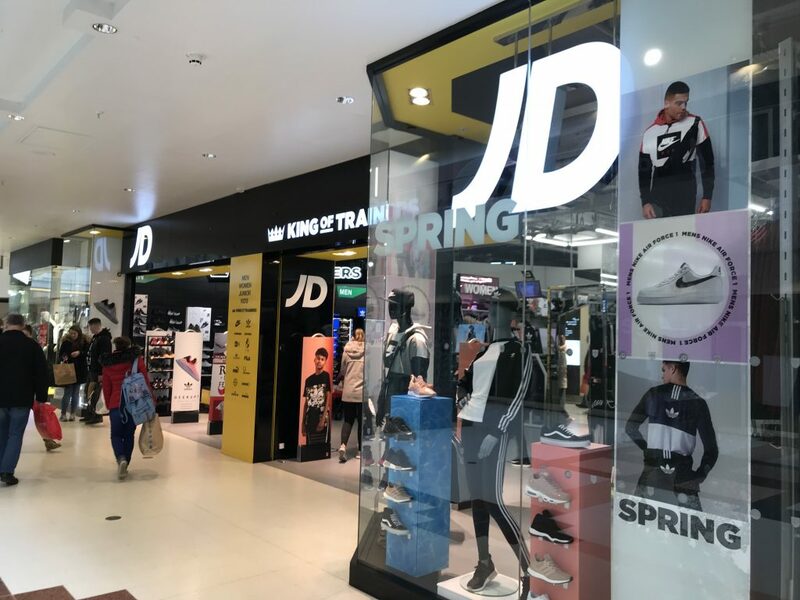 JD Sports Cons: The JD Sports in Crawley is quite small, so the overall selection is somewhat limited as compared to their other retail shops around the country. In addition, it has limited availability of sports related products outside of clothing, but this is expected given the nature of the brand’s primary demographic (those wanting sports clothing). Decathlon Pros: According to Wikipedia, Decathlon is the largest sporting goods retailer in the world. Frankly, I didn’t know this until researching more about the company for this article, but it doesn’t surprise me at all. In fact, before opening the physiotherapy clinic in Crawley, I had never heard of Decathlon. One day, I was in urgent need of some products for the clinic (foam roller, therabands, yoga mat + blocks, spikey ball and more), ran into town and saw the shop. You can imagine how happy I was! Decathlon has… everything. Especially sports equipment. Pretty much every major sport you can think of, Decathlon in Crawley sells it. So if you’re a sports specific fan and are looking for an item more than clothing, Decathlon is the recommendation. Decathlon Cons: Decathlon, especially with regards to clothing, is the more lower priced choice. This means that the products can also be of less quality at times. However, they are not bad quality by any means, and they do have the more premium range products if required. Sports Direct Pros: Sports Direct in Crawley is huge. It sells a large range of products, and is similar to JD sports it that it has a focus on clothing. Sports Direct, unknown to many, also own Slazenger, so they have a extensive collection of their range which have reliably been good quality. 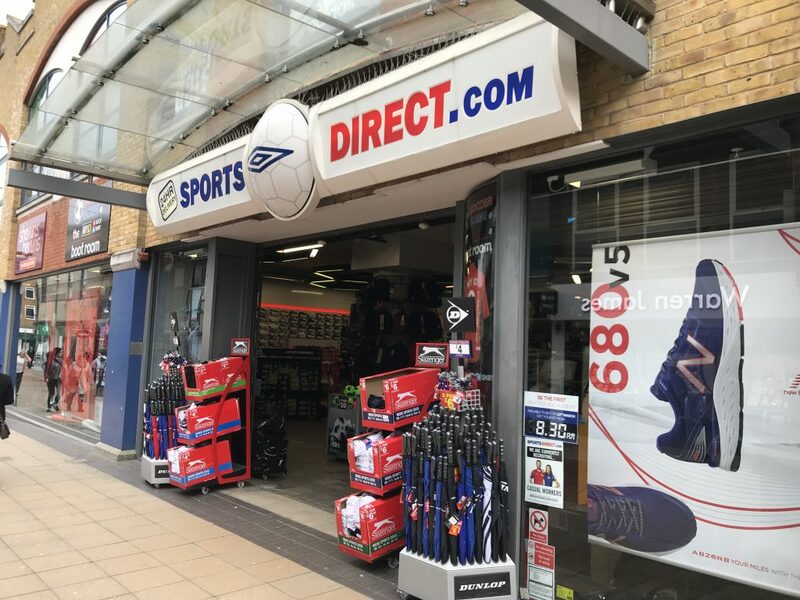 The difference between Sports Direct and JD sports is the price range (overall) – Sports Direct has more affordable items. They also have sports equipment for a few popular sports. 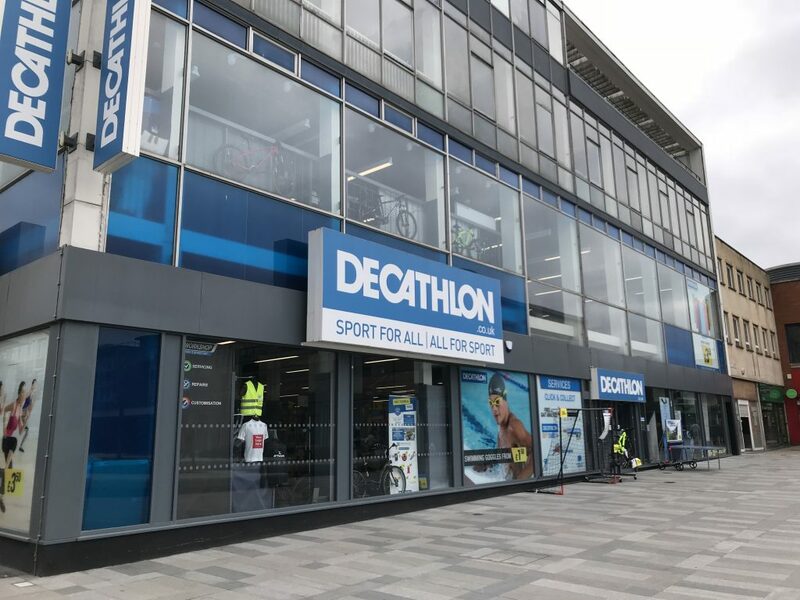 Sports Direct Cons: The sports equipment is limited overall in terms of the sports they cater for, as compared to Decathlon, and the clothing, although at a more reasonable price, do not appear to be of the same quality as JD Sports. In addition, the clothing is typically the style of sports clothing that the vast majority of the population may like for casual wear or non-competitive sports. High level athletes and those looking for the ‘luxury athleisure’ type clothing would benefit from the range at JD sports. Quality Sports Supplements Pros: QSS has done well, in my opinion, to open in an area where a clear gap in the market exists. QSS focuses on selling sports supplement products, and they have an extensive range of products for almost all needs, with very reasonable prices. In addition, they have a very well developed website, (link above) which allows your to choose what type of product you may require, depending on your goal. This is helpful as historically with sports supplements the market is so saturated the average consumer has no idea what they should be taking, and end up not purchasing at all. 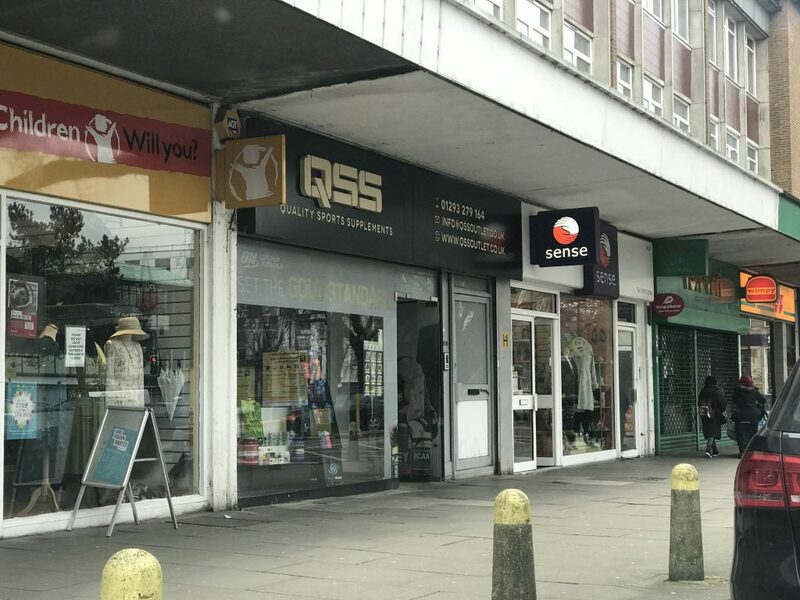 QSS is a small shop, but as mentioned, they are laser focused on their product type and do a good job selling items that are not found elsewhere at all in Crawley town centre. Quality Sports Supplements Cons: Naturally, being specific to sports supplements, the only downfall to mention would be that they do not sell as much other sports related products. 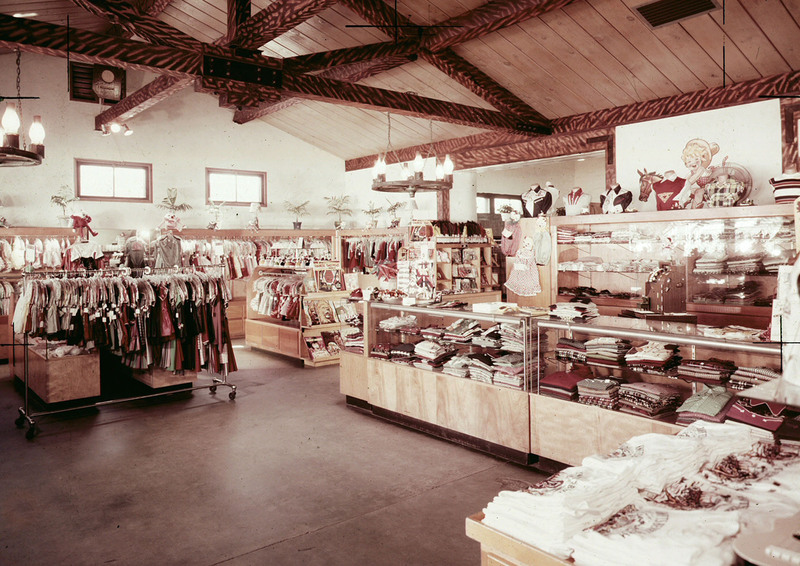 Their company does have a useful collection of sports clothes, weight lifting accessories and complimentary items but the collections is not as extensive as other shops may be. Essentially, the four main sports shops in Crawley cater toward completely different requirements. I think, as a result of this, we are lucky to have a perfect array of shops all within a very close proximity to be able to meet our personal health and fitness goals. If you are searching for sports products, such as sports specific equipment/clothing (tennis t-shirt, cricket ‘whites’, basketball shorts, karate ‘gi’), fitness tools, therapy items (orthotics, therabands, foam rollers) etc, Decathlon is your best choice. If you are searching for general sports clothing and accessories for working out/training at a lower price, Sports Direct is your best choice. If you are searching for premium sports clothing, or have a liken towards ‘lifestyle’ fitness clothing and are happy to pay a bit more, JD sports if your best bet. If you are searching specifically for sports supplements, without a doubt Quality Sports Supplements if your first point of call in Crawley. I hope this clarifies for you where your sporting needs can be met in Crawley, and of course if you have any questions or queries or would like any further help with this, feel free to give me a call or drop me an email (visit our contact page) and I’ll do my best to help you out.